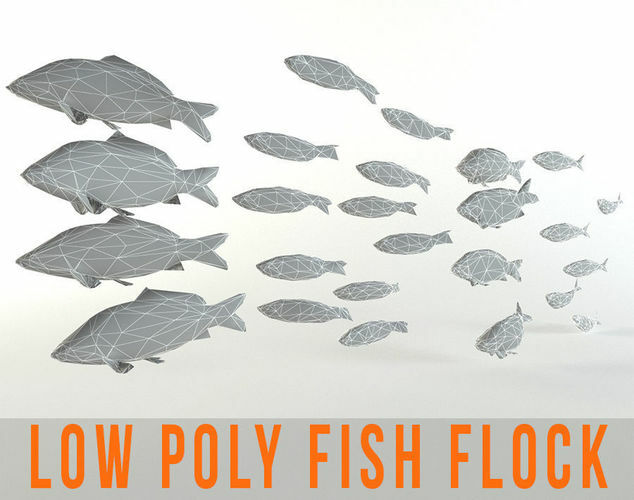 Low poly fish flock helmet for any purpose. You can just import and use this model for anything you want. If you looking for a low poly models, you can check my portfolio. Anything you need please contact to me. -Scene is ready to render. -Created with Autodesk 3DS Max. -Rendered with 3DS Max V-ray. -I also give the lights, cameras and other items for this scene. -You can use it for your games and other creative areas. -Basic material included. If you need more complex materials, please contact with me. -Map coordinates are fit to zero. Just import it to your scene and its done! -You can check my other creative models. If you want anything special or questions, please ask me. I am open for your suggestions and comments. Thanks!